What is the purpose of the premium byfold chair? 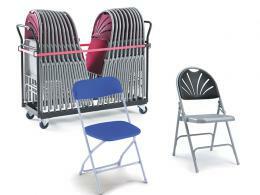 The premium byfold chair is a classic school, convention and public event chair. 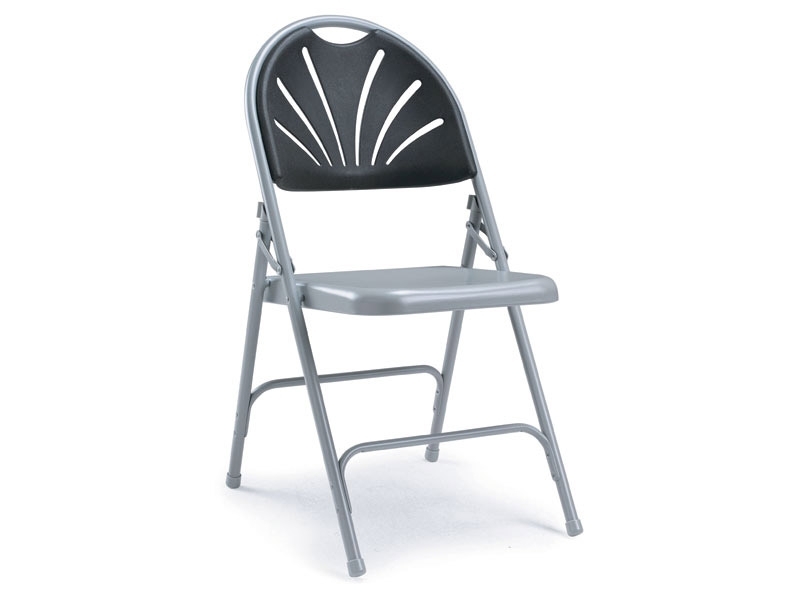 Strong, light-weight, foldable and virtually indestructible, this chair is a heavy duty, long lasting and affordable addition to the inventory of any large facility that serves the public. 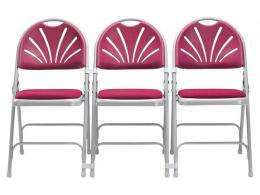 The byfold chair comes in packs of 4. The seat back comes in a stylish “sunray” pattern, available in either blue or black. The frame of the chair is made of rust-resistant tubular steel, allowing for an extremely strong but also lightweight chair. This chair is made just a little wider so people can have a little more space at big events. The byfold chair is available with an optional upholstered seat with either blue or black cloth to match the seat back. The cloth upholstery covers a polyurethane pad. Overall, the optional seat adds comfort and a slight upgrade in appearance. These seats can be easily folded and stacked for convenient transportation from storage to the meeting room. Plastic chair connectors are available to attach chairs in rows for a neat, stable display. The chair legs are capped with a rubberized foot that prevents the chair from scraping the floor. 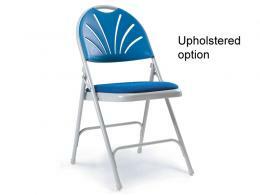 This chair can be used at indoor and outdoor large public events. Its primary feature is maximum mobility and speed in assembly of the chair rows. This type of chair is not well suited for extremely long events or for meetings or dining facilities. But for quick public events, the byfold chair simply cannot be beat! Anyone who ever attends a school assembly, an outdoor concert in the park, a political campaign event, or a volunteer meeting will surely appreciate the stylish appearance of our byfold chair.